5 Excellent Cooking Classes in Barcelona - Paella, Tapas & Beyond! Apart from food tours, I try to take a cooking class whenever I travel somewhere new. There are currently dozens of options for cooking classes in Barcelona– it seems like something new opens each day. Here are some great suggestions from Lindsey, with a couple of extra tips from me at the end! Metropolitan, cosmopolitan, and fiercely proud of its traditional Catalan heritage, Barcelona has a lot to love. Its culture identity shines through in the rich local cuisine. 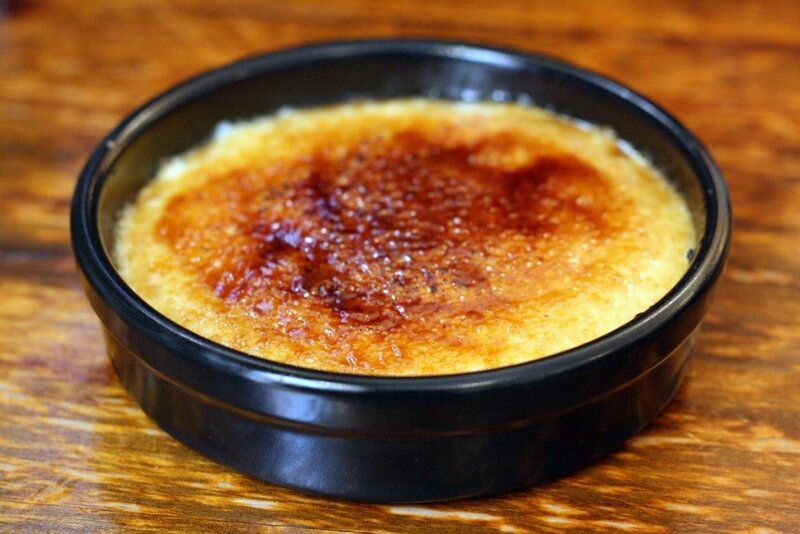 It’s possible to jump from humble classics at rustic tapas bars to the state-of-the-art cooking methods and unique ingredients used at trendy gastropubs—many times even on the same block! Modern cuisine or modern art? As a result, it’s no surprise why so many visitors to Barcelona—and Spain in general—instantly fall in love with the food. So much so, in fact, that you might even be hankering to recreate some of your favorite Catalan and Spanish recipes when you get home! But where to start? Learn how to make delicious tapas at a cooking class. Sure, you could probably find a recipe online for many traditional dishes, or maybe even try to recreate it off the top of your head if you feel particularly brave! But if you want to be sure that what you’re cooking is as true to the original as possible, sometimes it’s best to learn from the pros. These excellent cooking classes in Barcelona will help you do just that! Learn the tricks of the trade of Spanish cooking. See also: Follow along with Lauren’s adventures at culinary school in Barcelona throughout the year! The dedicated, passionate team of experts at Barcelona Cooking uses their excellent location to their advantage. Located just steps away from the iconic Boquería Market, many of their cooking classes include an optional visit to the market itself (highly recommended)! Here, you’ll pick out fresh, seasonal ingredients to use in your dishes. 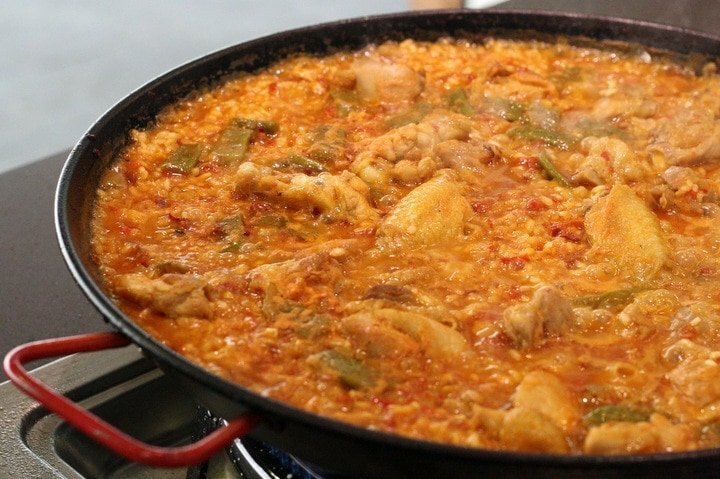 Their Spanish Cooking Class is their most popular and will show you the secrets to creating a homemade paella. 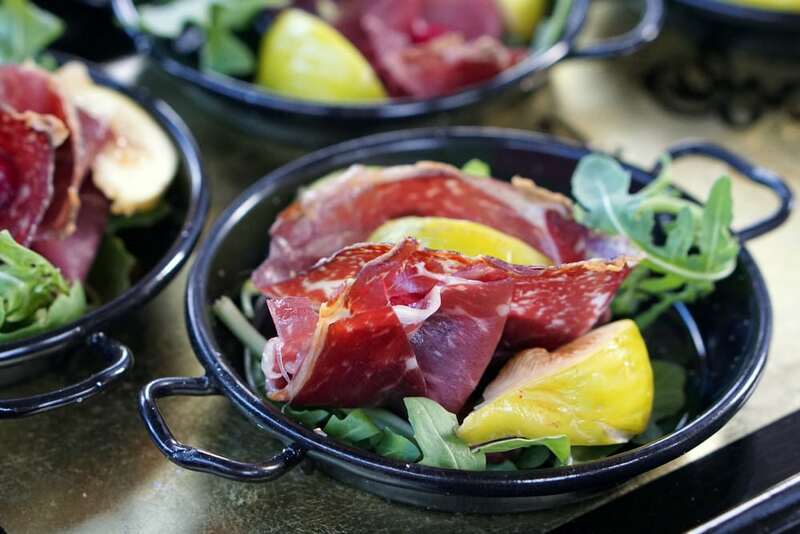 Another great option is their newest offering, the Catalan Tapas & Wine Class, which will show you how to recreate beloved regional tapas, each paired beautifully with exquisite wines. Classes are taught in English by professional, bilingual chefs. 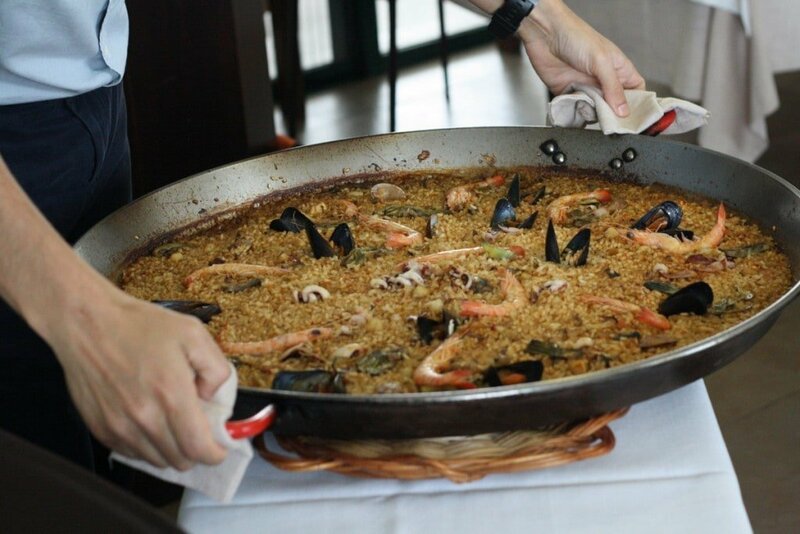 Learn to create the perfect paella at Barcelona Cooking! 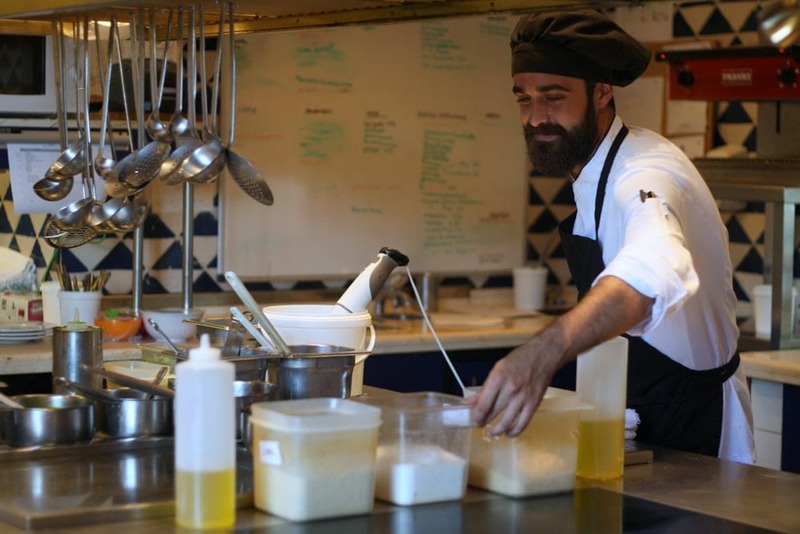 Looking for cooking classes in Barcelona that go beyond traditional recipes? 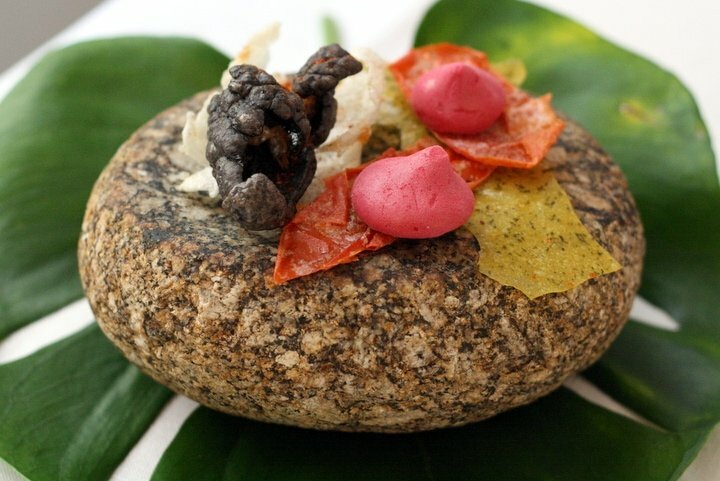 The unique gastronomic activities offered at Canela Fina might be just what you’re looking for. This family-run business operates out of a beautiful, modern space in El Born. Each class is completely different from others before it and focuses on specific ingredients, occasions, or well-known chefs. In addition to these fascinating hands-on experiences, they also offer nutrition and cocktail workshops, wine tastings, dinner parties and more. All experiences are private and completely customized to your group. The fun and dynamic classes offered at Foodie Experience BCN will show you the secrets of traditional Catalan cuisine in a lively, modern environment. As one of the newer cooking classes in Barcelona, it was started by two local sisters with a shared passion for slow food, local ingredients and sustainable methods every step of the way. From their beautiful, bright space just off of Plaça Reial, their group classes are styled like a traditional Spanish family kitchen. At the end, you’ll sit down to enjoy your homemade meal with your instructors and the rest of the group, who will begin to feel like lifelong friends. 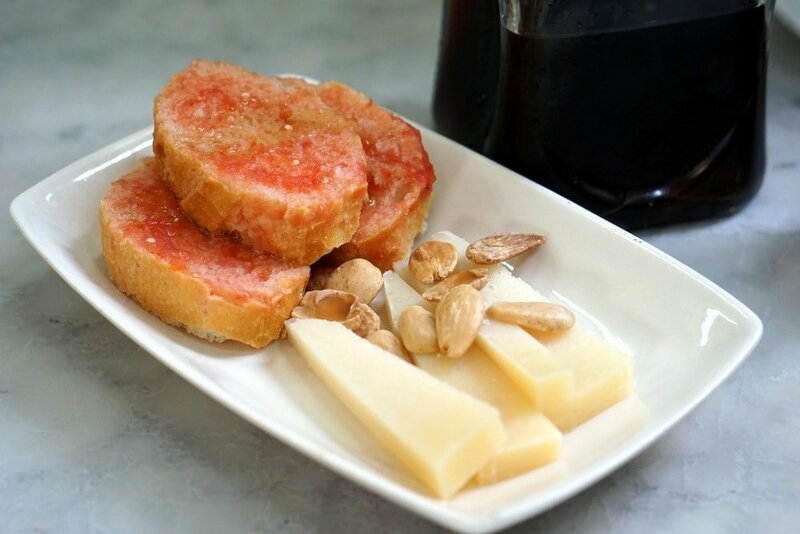 Pan con tomate: a Catalan classic! Got a sweet tooth? You’ll love the excellent dessert and pastry cooking classes offered at Espai Sucre. As the premier dessert cooking classes in Barcelona, these courses are aimed at guests who are serious about their craft, so some prior baking experience is helpful. However, the classes are unpretentious and enjoyable enough for anyone. Their rotating course schedule changes regularly and focuses on different ingredients and themes. Some of these include healthy desserts, cheesecakes, and pastries for people with food allergies. These are the best cooking classes in Barcelona if you want to learn how to bake every kind of dessert under the sun! Born to Cook‘s name is a reference to the cooking school’s location in the historic Born neighborhood. In fact, the venue is a gorgeous medieval palace dating back to the 16th century! The classes include tours of two iconic Barcelona markets—La Boquería and Santa Caterina—where you’ll pick up fresh, local products to use during the class and even taste-test some! From there, it’s back to their lovely kitchen space to get to work under the guidance of a professional chef. He’ll give you insights into Mediterranean and Catalan cuisine that will make you appreciate the final product all the more. Finally, you’ll enjoy the fruits of your labor, paired with a handpicked selection of cavas and wines. See also: Devour Barcelona’s guide to the best Catalan wines to enjoy in Barcelona! Lauren here — and I had to mention Hofmann for anyone who is visiting Barcelona and speaks Spanish (or for those of you who live here). Hofmann is where I am currently attending culinary school and it’s a fantastic professional school with an excellent reputation. They hold one-off themed classes as well, and while pricey, they are well worth it. 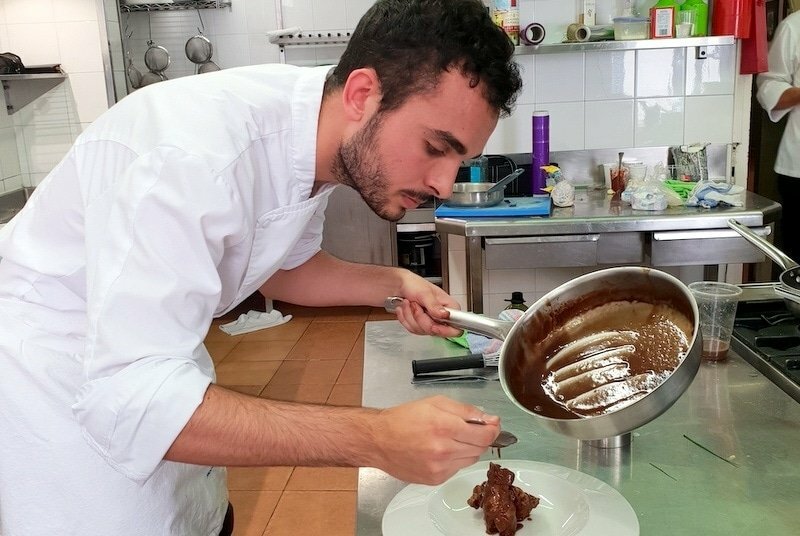 The level is for passionate home cooks and professionals and classes are held in Spanish- but if you are looking for something challenging, take a look! Have you taken a cooking class in Barcelona? Tell us about it below!